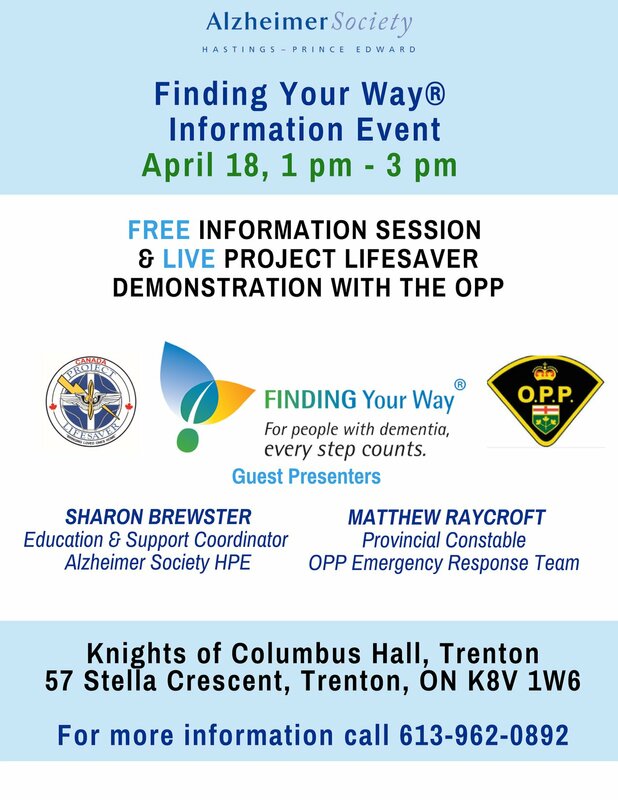 We are hosting a FREE information session on Finding Your Way and Project Lifesaver in Quinte West! Finding Your Way helps people living with dementia, their families, caregivers and communities to recognize the risk of going missing, be prepared for incidents of going missing, and ensure that people with dementia can live safely in the community. Project Lifesaver is a non-profit, community-based, public safety organization that provides law enforcement, fire/rescue, and caregivers with a program designed to protect, and when necessary, quickly locate individuals with cognitive disorders who are prone to the life threatening behaviour of wandering.